We’re getting to the end of the season and everyone is putting their finishing touches on their programs. Creating a compelling Indoor Percussion show takes a great deal of planning and work. The most successful groups also spend the time it takes to be amazing at logistics as well. Putting in the time mapping out schedules and logistics with your students and parents will set you up to have the best possible performance. Below are some items to consider as you prepare for the successful end to your season! Have a rehearsal where the main focus is making sure everyone knows their role during setup and teardown. It is a good idea do this for the front ensemble and battery individually and then as an ensemble as well. Practice! Treat it like you treat the show. Everyone must perform their tasks in harmony for success. Time it - watch it - edit it - ask the students for ideas - they might have good solutions. Plugging in the speakers, plugging in their microphones, doing a quick sound check to make sure everything is on. How does the show start? Where does the battery put their drums before entering the gym for setup? Who pulls the floor out? How is the floor folded correctly for the arena you’re in? Where does the ensemble enter and exit? Where is the timing line? How do props travel to the gym? How are they prepared for the show? Who takes the floor cart out of the gym after its setup? Where are you exiting the gym? How does the battery deal with drums after the show? Who is pulling the floor over the timing line? Props? Map out a gameplan for who makes what call when something goes awry. Electronics not working right before the show - who is the designated person that makes the go/no-go decision? Gym/arena configuration is slightly different than anticipated - who makes the call about where the drums are going to go now? Who decides how to handle front ensemble sequencing issues? The WGI model adopts a 9, 10, and 11 minute window for total interval time for A class, Open Class, and World Class respectively. 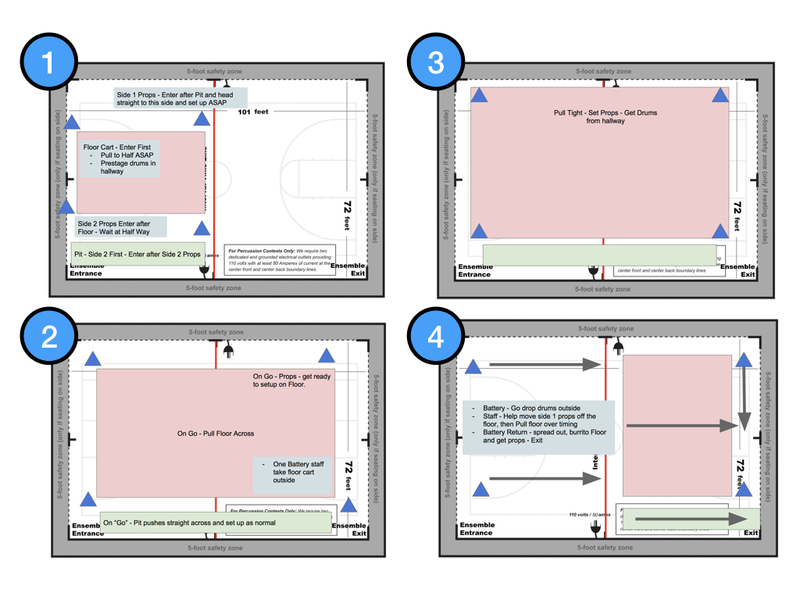 Knowing your general setup and tear down time will determine how much you have left for your show design. Generally - if setup takes about 2 minutes and 30 seconds, and teardown takes about 1 minute, and leaving about a 30 second window for safety then show lengths should generally be about 5, 6, or 7 minutes for A class, Open class, and World class respectively. If your show is longer - then your setup and teardown needs to be faster. Something isn’t working, should we fix it and risk a penalty? Or, should we just go without it and hope for the best? My opinion is, you do what is in your power to perform the show as intended. Simply, you try and fix it. This is a tough decision, but your students deserve to perform the show as intended. The way they rehearsed it, all season. They worked really hard to get there to play their hearts out. To me, that trumps any timing penalties. Also, who knows how competitive you’ll be without that element you’re missing? Obviously you might reach a threshold where it is no longer tenable to keep troubleshooting, I hope you never get to that point. Either way, its important to discuss this sort of scenario with your students, staff, and parents before it happens to help manage emotional surprises. The more prepared you and your whole ensemble is to face the unexpected, the stronger they will be if and when something happens. You know the saying that starts: "never assume..."
You've done the entry and exit and show day logistics for years and years and years. Dont forget, there are people in your ensemble (students and parents) that have never done it before. They are the ones that will need the most guidance when it comes to how the day works. Make their lives easier - give them some direction and information so that this stressful environment is easier to navigate. Its also possible that you have some younger staff members that could use the guidance as well - or are working with other groups, and you need to make sure all the moving parts are showing up and doing their roles for your ensemble. Create some sort of clear schedule for everyone to follow for that day as well as clear direction on where you want warmup to happen. It will save you a lot of confusion on the day of. 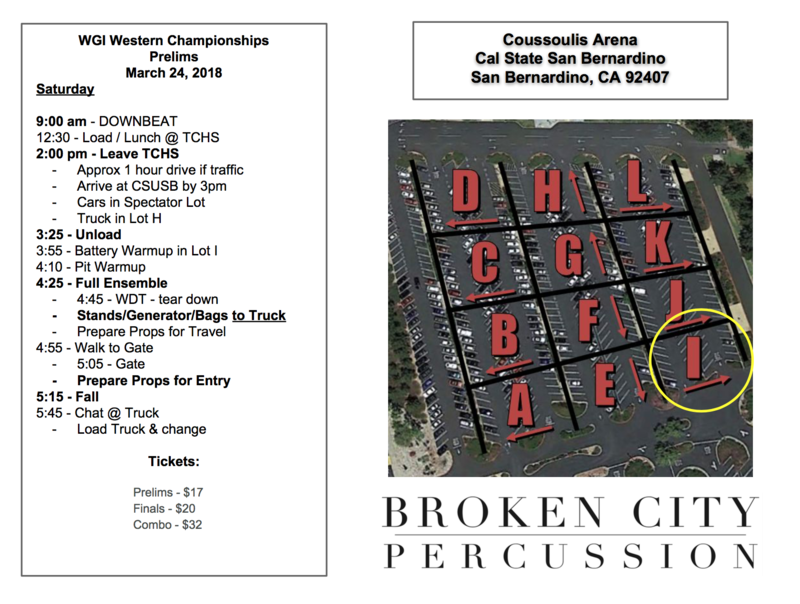 Here is an example of a show day logistics packet we use for Broken City Percussion - created with Google Sheets. I hope some of these topics will help create a more successful logistical environment for your students. A great performance will be a symptom of great preparation. 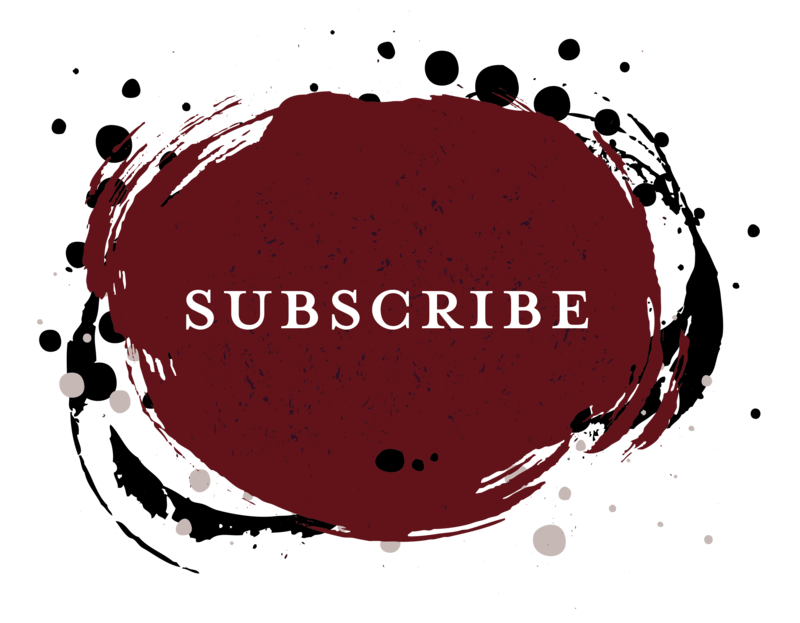 To stay updated for more articles, show announcements, and news, subscribe NOW!